Although rarely used (mine anyway! ), fireplaces tend to be the focus of attention in most living spaces. It’s where you hang your TV or decorate with family photos. With it being at the heart of the home, a fireplace makeover can make an enormous difference in the feel and interior design of your home. 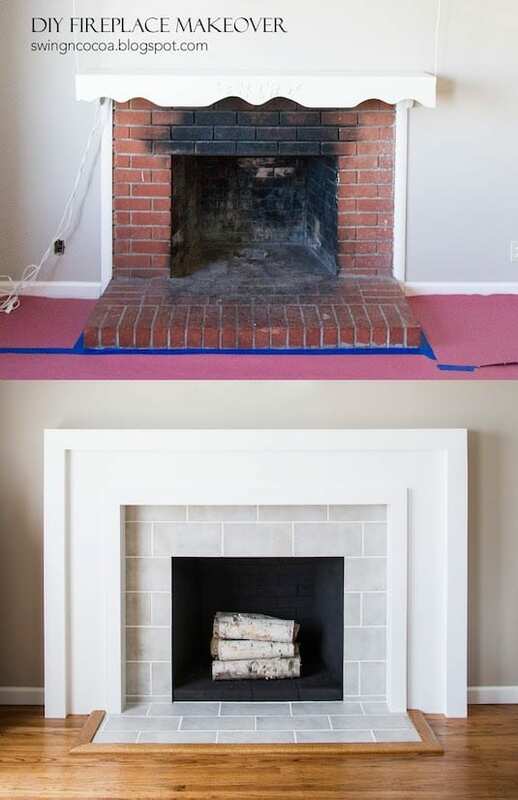 Check out this fireplace makeover that was done for under $200 (assuming you have most of the tools). It’s a far cry from where it started! The transformation is incredible. Yes, you can do that! 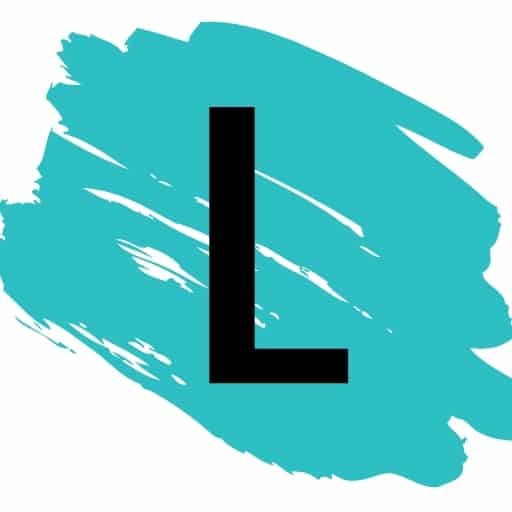 Two words comes to mind when I think of linoleum– ugly and outdated. 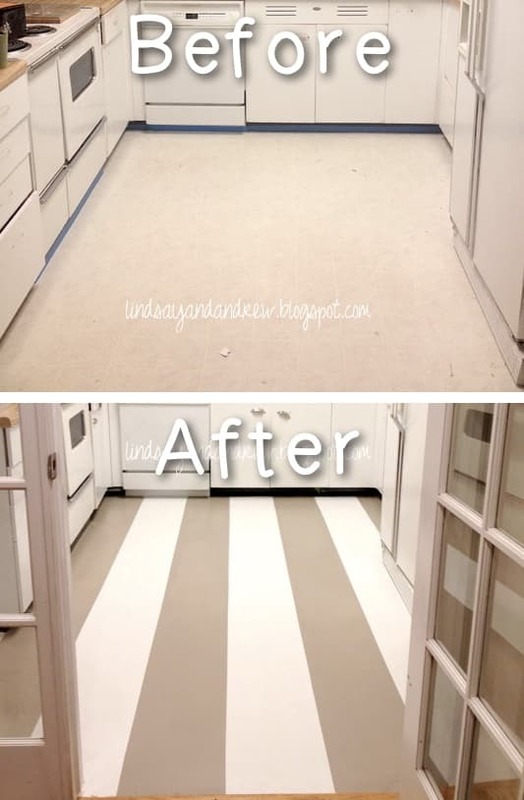 Unfortunately, floors can be very expensive to replace, but what if you could just slap a few coats of paint on there?! Ok, maybe not that easy. There is the preparation, the wait time, and a good sealant involved, but it sure beats spending your savings to update your floors. Check out this tutorial! This painting technique also works on tile floors and kitchen backsplashes, and I absolutely love the idea of using a tile stencil. I think this was very tastefully done! You can see more pictures, step-by-step instructions and find out where to buy the stencils for this project over at Hometalk.